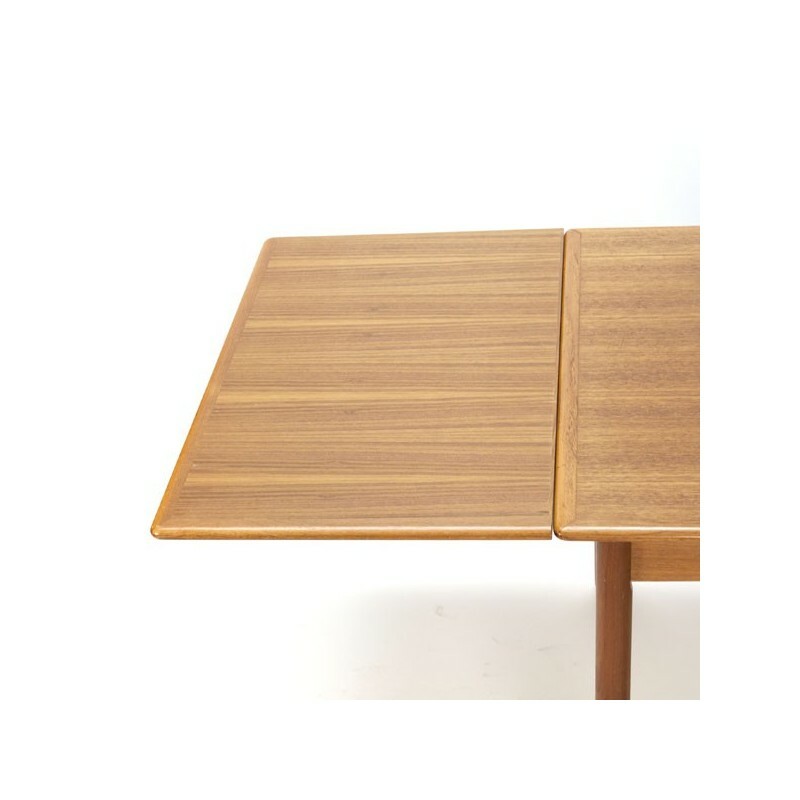 Large extendable dining table from the sixties. 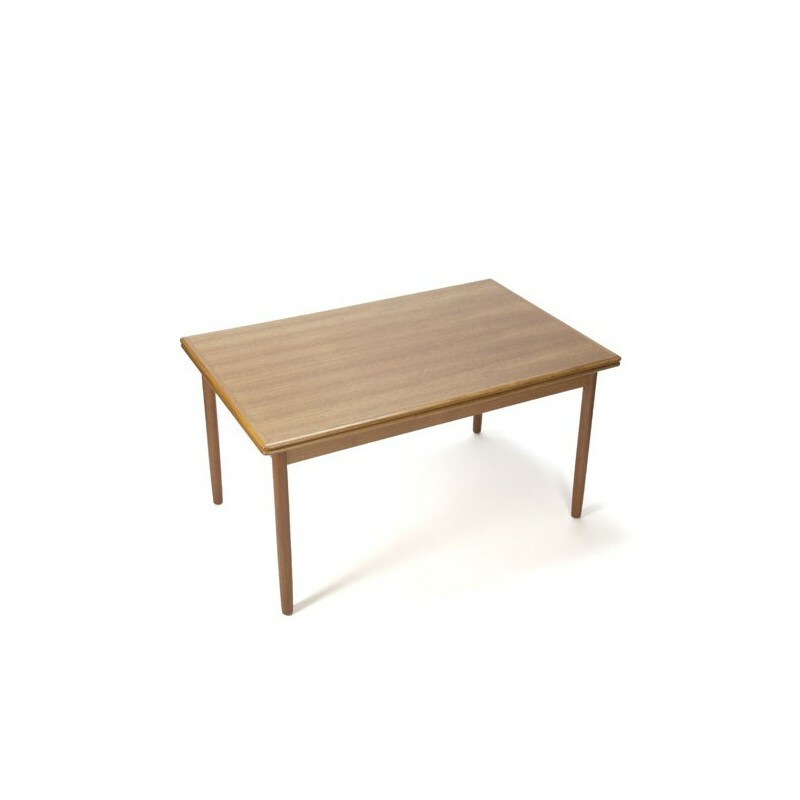 The Danish table is made of teak and has a nice wood flame in the wood. 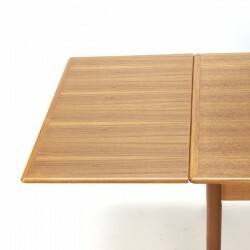 The table is in good condition considering the age, very light traces of use, see the detail photos. 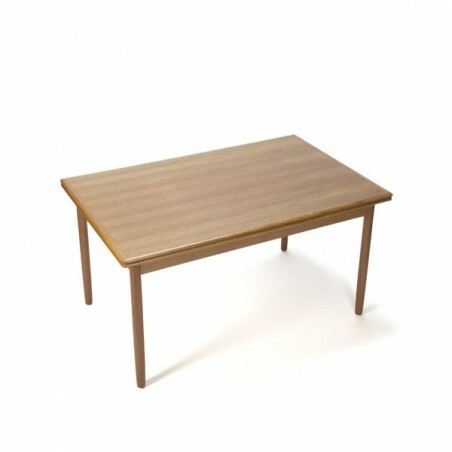 The dimension is 140/246 cm L / 89.5 cm W / 73.5 cm H.